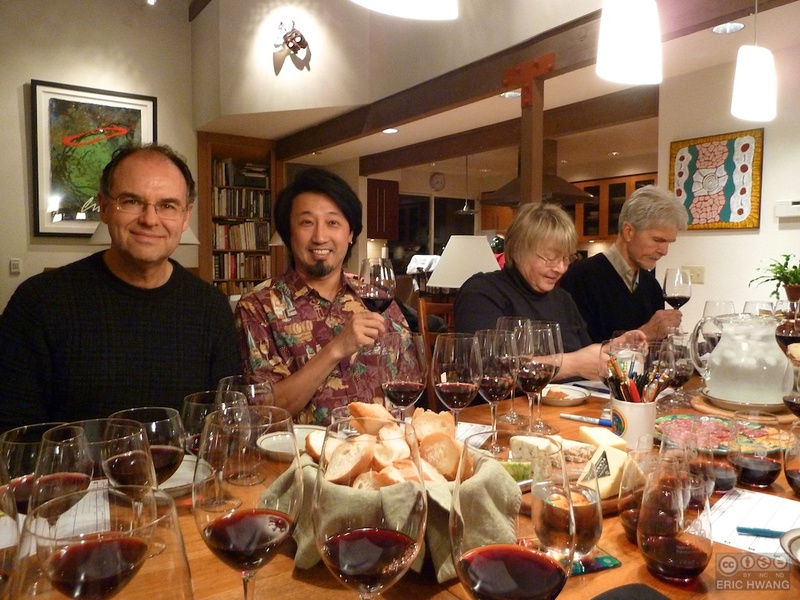 Last night, our Mercer Island wine group got together at Bob’s house and eight of us tasted a variety of Bordeaux wines from ’86, ’88’ and ’89. 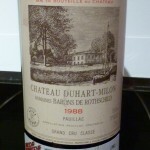 The wines were all from Bob’s cellar and from various appellations in the Bordeaux region so it didn’t really concentrate on a particular appellation. 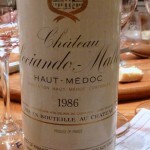 These were mostly wines that sold for under $20, but today would be worth $40 to $85 or more. 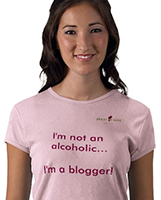 Unfortunately, with any wine—but especially wine of this age—there will be some occasional corked bottles. This batch of wine was no exception with two of the 7 bottles being corked. One worse than the other because even by the end of the evening, the TCA didn’t blow off. 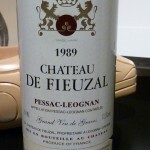 Surprisingly, for their age and price, several of the wines still had some good tannins present, but I wouldn’t go so far as to say that they would have improved with any more age. Aside from the tainted bottles, the rankings were extremely close for the others. 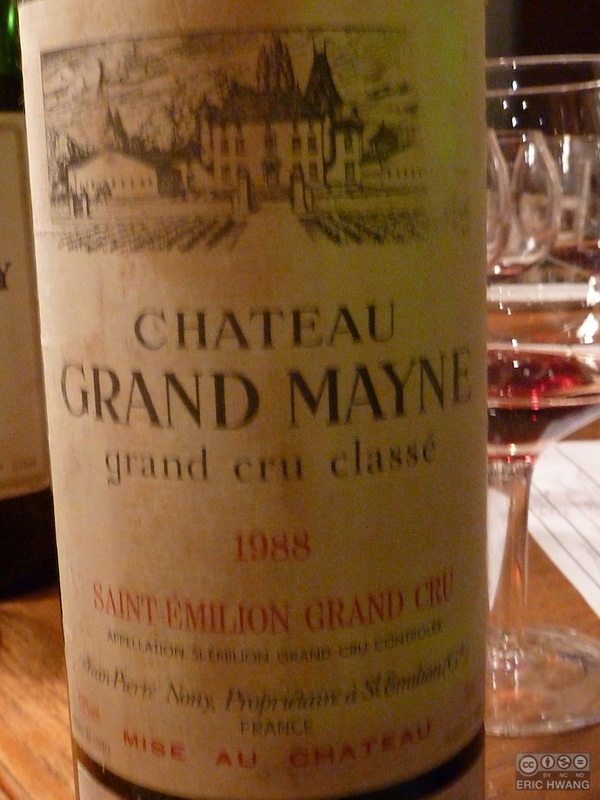 7) 1988 Chateau Grand Mayne, St. Emilion – Unfortunately, this bottle was corked and the TCA taint became stronger throughout the evening. Early on, however, I caught the aromas of cigar box. By the time I went to taste it, however, all I could smell was wet cardboard which overpowered any taste it had. Six people, including myself, picked this as their last place wine. 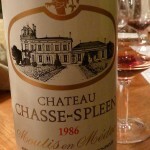 6) 1986 Chateau Chasse-Spleen, Moulis en Médoc – Another bottle that had cork taint. 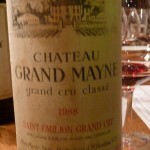 This wasn’t as bad as the Grand Mayne, and eventually it did blow off and a smokey bouquet of plum and cherry came through. 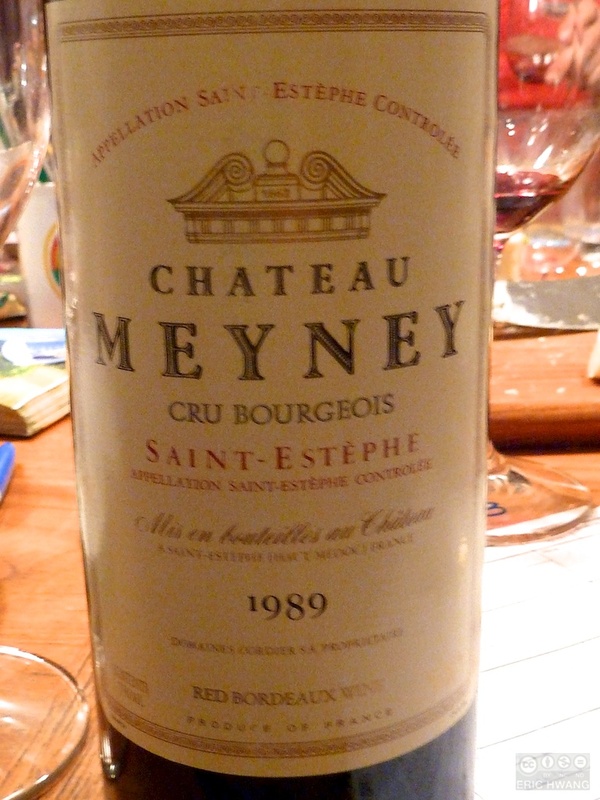 Even though it was over twenty years old, there were still good tannins and a lengthy finish. 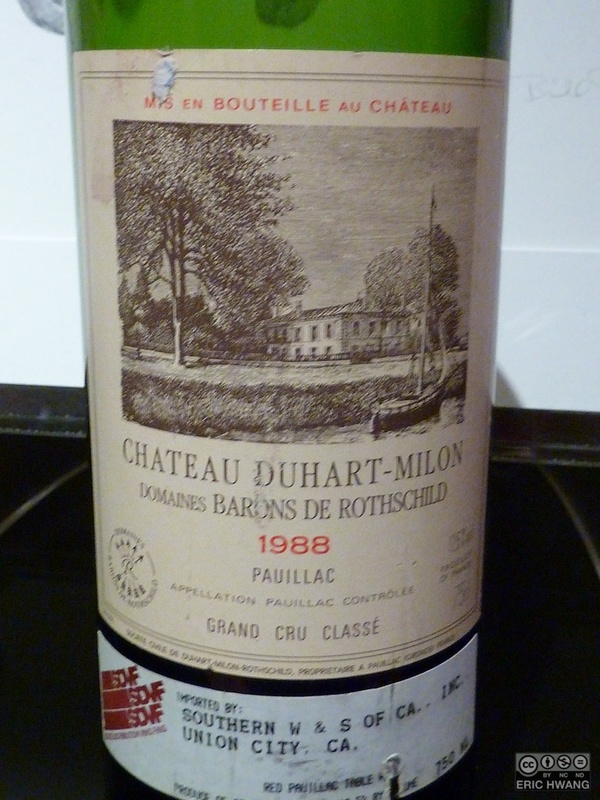 5) 1988 Chateau Duhart-Milon, Pauillac – A slight barnyard smell with tobacco aromas. On the palate, tart cherry and a slight earthiness. Very smooth but not overly exciting. 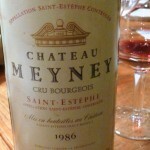 4) 1986 Chateau Meyney, St. Estéphe – Initially tight but eventually opened up to a fine earthy bouquet marred only by a trace of vegetal aroma, i.e., green pepper. Bright cherry flavors with a smooth finish, however, it left a distinct metallic taste. 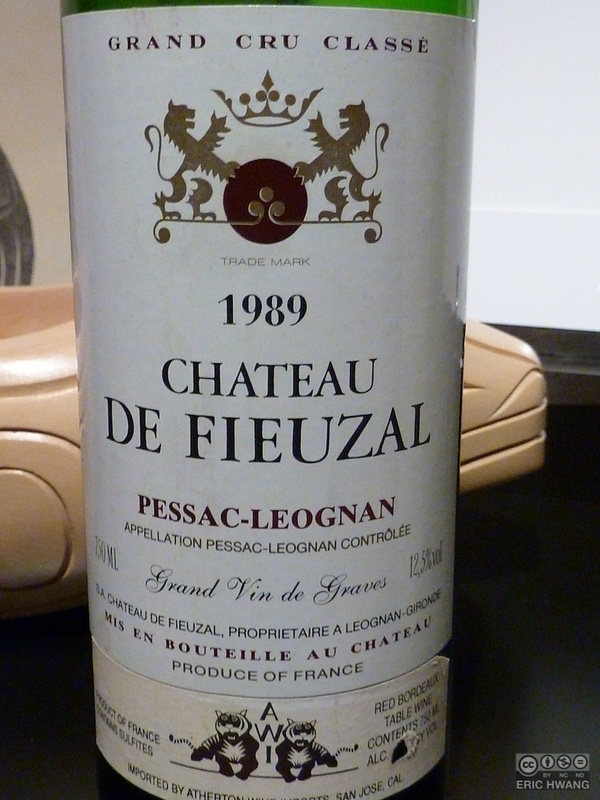 3) 1989 Chateau De Fieuzal, Passac-Léognan – Also quite tight initially. Pipe tobacco aromas and a pleasant earthiness led to flavors of tart cherry and raspberry with a rather flat mid-palate and medium finish. I ranked this my number 5 despite the group ranking. 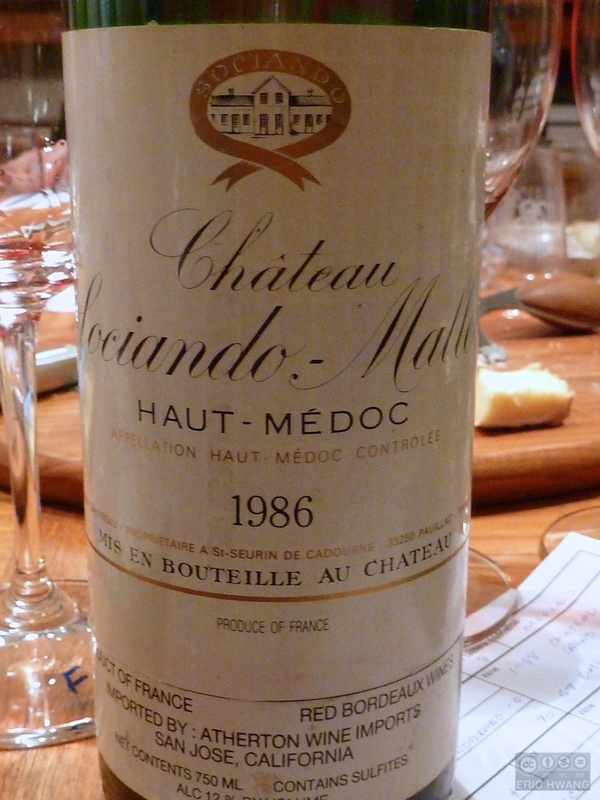 2) 1986 Chateau Sociando-Mallet, Haut Médoc – I really enjoyed this one and it was one of the few that both Sheri and I agreed on. Not as earthy as most of the others, it had more of an oaky, leathery aroma and flavors of cherry, plum and a touch of vanilla. 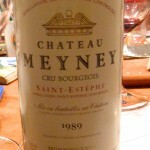 For its age, it had nice smooth tannins and a relatively long finish. Also my number 2 ranked. 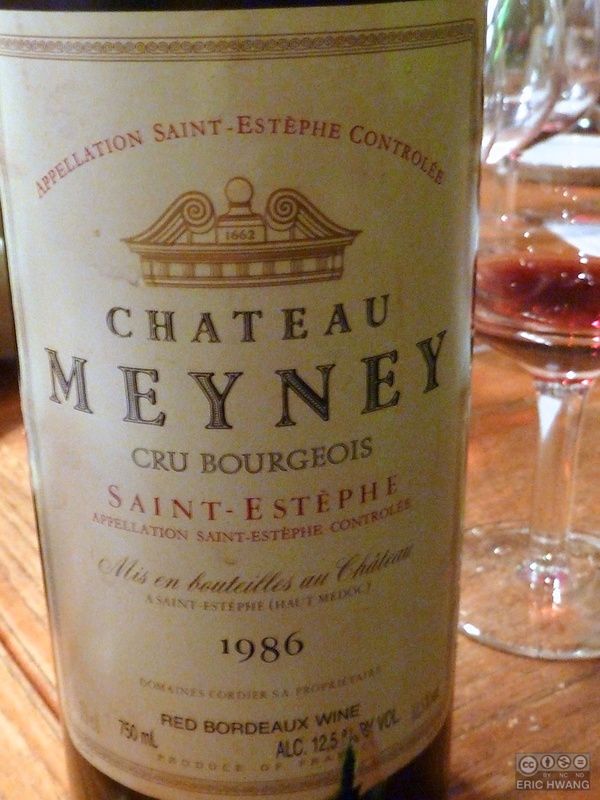 1) 1989 Chateau Meyney, St. Estéphe – One of the few that had a bit more depth to the garnet color but still with an amber A little tight at first but opened to nice bing cherry aromas with just a touch of earthiness. Subtle flavors of stone fruits and black olives. Definitely fuller-bodied than most of the others with a really nice chewy mouthfeel, smooth tannins and a fairly long finish. This was also my number 1 ranked. 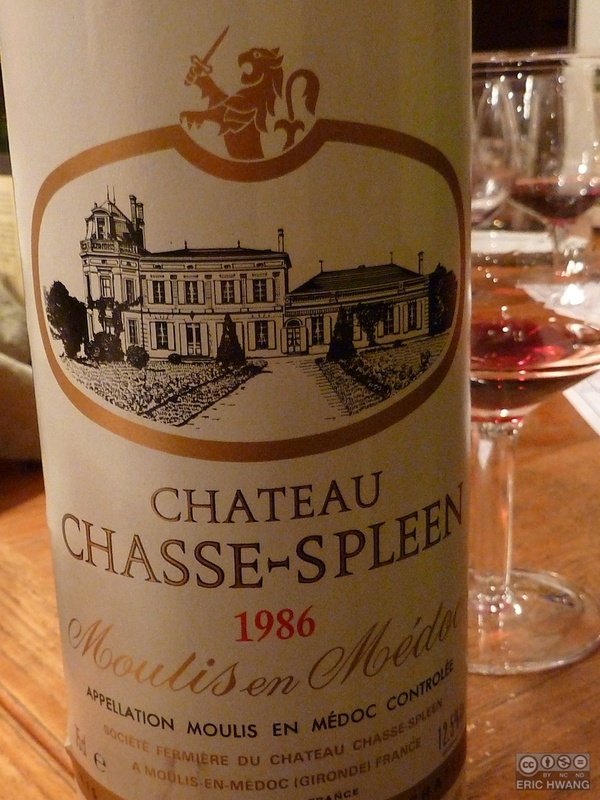 What this tells me is that if you have any twenty year-old Bordeaux sitting around in your cellar, now might be a good time to give some of them a try. Several of these where showing really well, while some were probably better at one time and are on the downhill side of good now. All in all, an interesting evening with some great wines.